This evening we climbed Mount Pisgah. This time all the way to the very top. My boys kept pace with their Grandpa and we all enjoyed a fantastic view as the sun began to get low on the horizon. 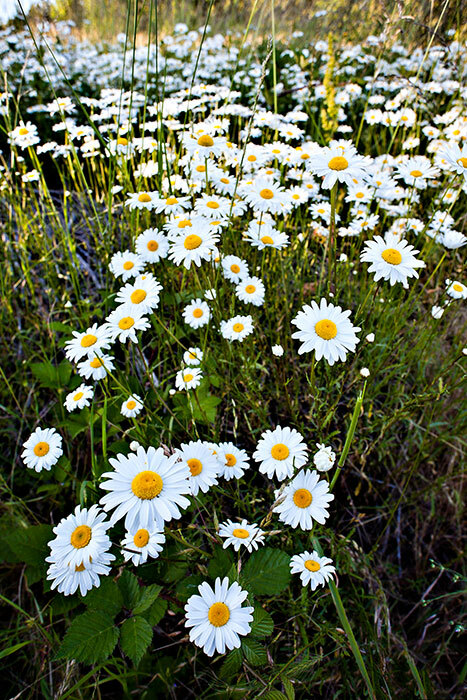 On the hike up I saw this field of daisies and knew it would make a good photograph. Looking at this now I don’t think I was wrong. Tomorrow is the 4th of July, Independence Day. I’ve got a BBQ to go to and will attempt to take a few fireworks shots. What are your plans?